Organized in 2004, initially as the Young Leaders Lunch Bunch, the group came together to connect with other professionals of color in the community to discuss “Public Policy” effecting issues- education, incarceration rates, employment etc., Race Issues (Black, Latino, and Asian), the lack of social and cultural entertainment options and as a way to welcome new people of color into the community. 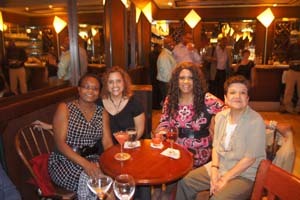 Founding members included African American and Latino professionals. One of the first actions of the newly organized group was to send a Young Leaders of Color Response to the Department of Civil Rights Proposal which sought to merge the Affirmative Action Office and the Equal Opportunities Commission. It was a hotly debated proposal. The Young Leaders goal was to lend its’ voice and unique perspective to the discussion. They suggested community representation on the search and screening committee and greater accountability of the newly formed Department in terms of improved outcomes in hiring a more diverse workforce, improved multi-lingual services, increased City support of minority and women-owned businesses, and more cultural venues. Founding members Shiva Bidar-Sielaff and Brenda Gonzales helped the group understand many of the language challenges not being addressed by the City. In 2005, after a full day’s retreat, the mission and purpose was updated. Since the majority of the group was African American, members really wanted to focus on issues facing the Black community. A new name was adopted, “The Madison Network of Black Professionals”, affectionately known as “the Network” made up of primarily African Americans in their 30’s-40’s interested in promoting ideas and concepts that impact the Black community in Madison, Wisconsin. Our intent was to encourage and offer an opportunity for people of color in Madison to network, socialize and connect. 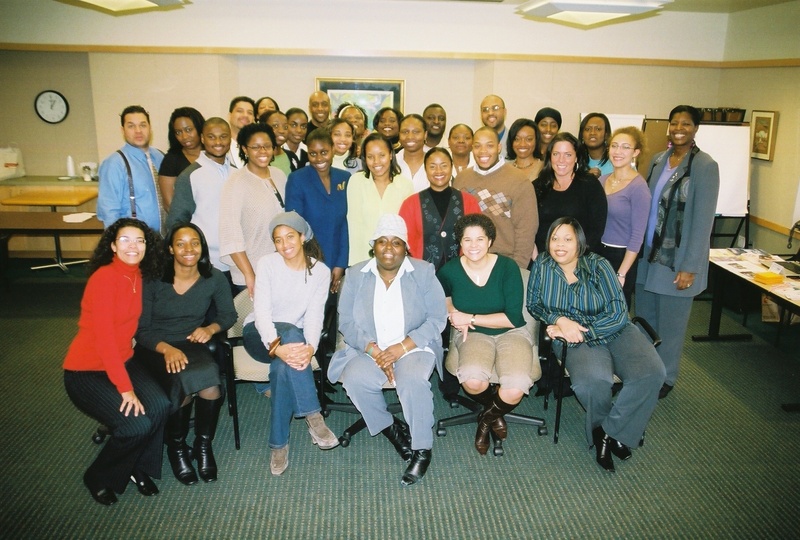 We believed by creating, an outlet for people of color, we could support one another in our professional lives and connect on a personal level. This led to purchasing tables at community events, creating a Network web presence, sharing job listings, working more closely with other organizations, and establishing a welcoming presence to Black professionals new to the Madison area. Since the group’s inception, an annual summer picnic and monthly lunch meetings have been held on the first Tuesday of the Month with few exceptions for the first day of school, Election Day and holidays. Annually, lunch speakers have include the City of Madison Mayor, Dane County Executive, MMSD Superintendent and a member of UW-Madison leadership team. The first president was Annette Miller. She served from 2004-2009, the longest term. Five years went by quickly. Under Annette’s leadership the organization developed and fine-tuned its mission, established its leadership structure and developed long standing relationships with leaders in the Madison community. The organization tapped into its member’s talents, Anthony Blair, owner of Smart Decision, a website company helped build our first website. Dawn Steven’s and Johnny Winston Jr. lead the initial website/ communications team. Alicia Jackson and Nia Enemuoh-Trammel helped to establish bylaws and researched formalizing the organization. Ruben Ernesto, long time employee of AMCORE Bank and president and Co-Founder of Nicaragua UNIDA served as treasurer. In 2008, the Network under Camille Carter’s leadership created, Madison Bull Market Investment Club after hosting Bob Wynn of Asset Builders, as a lunch speaker. The investment club researched and invested in stocks, helping members create and grow wealth. Keetra Burnette was elected in the first Network elections serving from two years in 2010. She moved the structure from an executive team to a committee structure with the heads of the committees forming a new executive team. She rolled out the lunch format that the organization currently enjoys with the popular sharing of members “Peak of the Week”. The peak of the week is good news members wish to share, like an promotion, a birthday or a trip enjoyed during the past week or something members are looking forward to. During Keetra’s term, she coined theses four keys words to explain the Networks goals and accountability: Live, Learn, Lead and Link. • Live: Give our members a positive experience. • Lead: Actively contribute to the development and growth of the Madison’s Black community in general, our youth in particular. • Link: Establish long-term partnerships that allow us and our partners to achieve shared goals. In 2012, Janine Stephens became the Network’s third president. During her leadership the Live, Learn, Lead, and Link mission language was officially adopted. She focused on growing the membership and introduced her monthly message from the President. She built upon the Professional Development CEO forums created by Wes Sparkman to include the Synergy Hour. Synergy Hour was a network hour where members talked about their businesses or exciting things happening at their jobs. In an effort to maintain some of the Networks history, Janine established the Madison Network of Black Professionals Advisory Council. A 3-person Council tasked with assisting the executive committee with ad hoc matters. The first three members to serve on the Council were Annette Miller, Wes Sparkman and Dawn Crim. In 2014, Anglinia Washington became the 4th and current President. In her short time, she has fostered closer connections with Madison’s two newest professional groups at the Urban League and the Latino Professional Association. She also undertook the updating of the Madison Network of Black Professionals website. She along with executive committee members populated the site that you see today. Over the years, the Madison Network of Black Professionals has tried to patronage businesses owned by operators of color. Many lunches and events have been catered by North American (N.A.) Rotisserie, Jada’s, J.D.’s Express, Taste of Asia, Bon Appetite Cafe, Papa Bears, and Melly Mel’s. Partnership highlights have included the Greater Madison Convention and Visitor Bureau, to host the Autumn Gathering at the Monona Terrace. This event celebrated Madison’s communities of color and featured prominent community members as event speakers. These included the Honorable Frances Huntley Cooper, former Mayor of Fitchburg; Ishmael Ozanne Dane County District Attorney, and Lucia Nunez Head of the Department of Civil Rights to name a few. While Jim Doyle was Governor his administration twice hosted Governor Receptions with Madison and Milwaukee Black Professionals at the Governor’s Mansion. Building off of these receptions, camaraderie was forged with the Milwaukee and Racine Young professional groups, collaborating on two bowling tournaments. The Network along with WES Productions, headed by Dwayne Williams aka “DJ Chill”, and WHEDA partnered to host Madison’s First Friday events, our monthly, signature social and networking event originally housed at R’s Place owned by Rick Flowers. The event later enjoyed a year at the Brink Lounge before landing at the current home The Cardinal Bar. 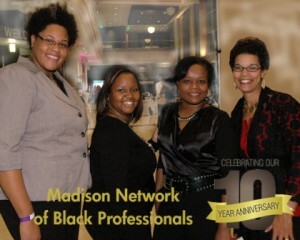 Over the past 10 years the Madison Network of Black Professionals has continued its’ mainstays: monthly luncheons and monthly First Friday networking events.